Tree Hut, creators of America’s favorite body scrubs and butters, are dedicated to delivering products that nourish skin with the best nature has to offer. Founded more than 10 years ago in Farmers Branch, Texas, the family-owned company has grown into a popular and beloved bodycare brand known for delicious and efficacious products. From bringing buzzy influencer programs to life, to developing innovative media product launches and deliveries, Coyne works with Tree Hut to spread the word on how everyone can reveal their own natural beauty with the brand’s extensive suite of products. Tree Hut enlisted Coyne to launch their new BARE line – a botanically-infused bodycare line featuring hair removal essentials. The challenge was positioning the products as both effective and “free-from” the harsh chemicals typically associated with hair removal. Coyne set out to launch Tree Hut Skin – a “free-from” skincare line infused with a blend of nature’s best skin-loving ingredients – with a differentiating activation that would capture and keep the attention of media and influencers. To get the news out to busy media in NYC, the team developed a unique “creative delivery” that would celebrate the fresh, nature-inspired line. Thus the Tree Hut Clean Beauty Market cart was born - stocked with Tree Hut Skin products, beautiful florals and sweet treats that celebrated core ingredients. 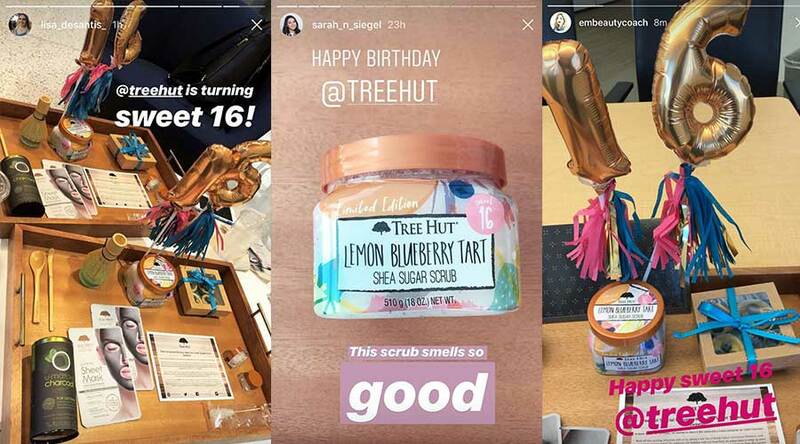 To create buzz around Tree Hut’s Sweet 16 and make the launch of their newest anniversary scrub even sweeter, Coyne PR developed a 360° campaign that would hit target media, influencers and consumers. In honor of the brand’s birthday, consumers were challenged to come up with a dessert-inspired scent for a new sugar scrub that will be produced and sold. The exciting contest was amplified through a strategic influencer program that targeted beauty-enthusiasts and encouraged them to submit – bringing in hundreds of yummy submissions. Once the winning Lemon Blueberry flavor was chosen, the team created a special Sweet 16 delivery for editors that included the new product, a Lemon Blueberry mini pie and balloons – resulting in a flurry of Instagram posts from top media!